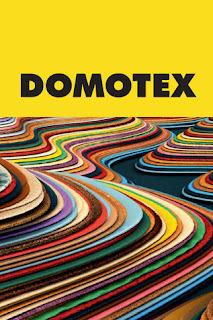 With a total of 1,350 exhibitors from 70 countries and 40,000 buyers from all over the world, DOMOTEX 2011 once again proved to be the global trade show leader in the flooring industry! Historically DOMOTEX has been known as a forum where buyers from all over the world can get their first glimpse of new products and innovations and this year was no different. Some of the highlights included curved contours of natural tree trunks from Bolefloor, exclusive new carpet designs, unique LVT floating systems from SuperClick and “used look” flooring. Take a look at Jim Gould’s posts on The Floor Covering Institute blog to get his feedback on some of these products [see Jim Gould Reports From Domotex Hannover and New Floor Covering Seen at Domotex Raises Expectations on Eve of Surfaces]. 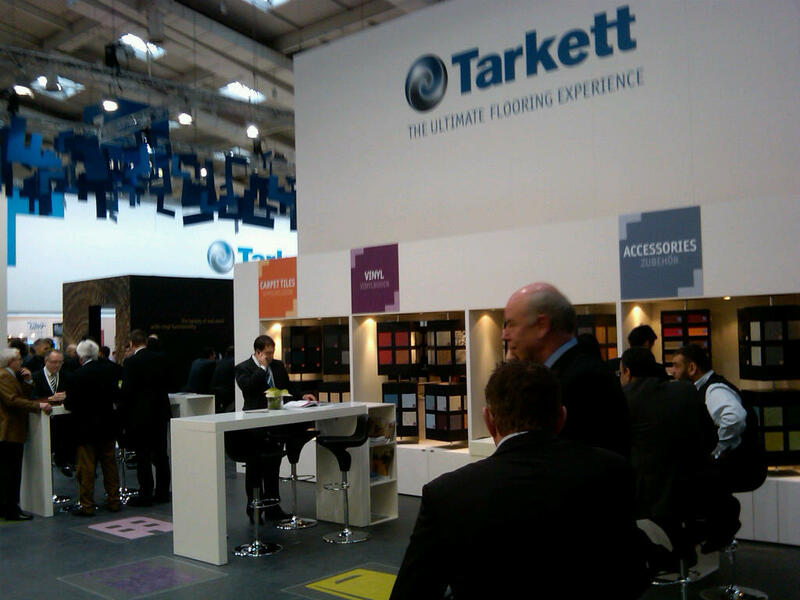 US companies were very well represented at DOMOTEX this year. Some companies such as long time exhibitor Card-Monroe, newcomer Lexmark Carpet Mills and DuPont Sorona Renewably Sourced Fiber chose to take exhibit space within the American Floorcovering Alliance (AFA). Many US wood flooring companies such as Mullican Flooring, Graf Brother flooring and Lumber, and Verona Hardwood found their own home within the National Wood Flooring Association (NWFA) Pavilion in Hall 8. Long time exhibitors such as Beaulieu of America exhibits with DOMOTEX in Hall 5 and remains one of the top leaders in the industry. Listen to Joe Williams, VP of Sales, talk about Beaulieu's continued support of DOMOTEX. 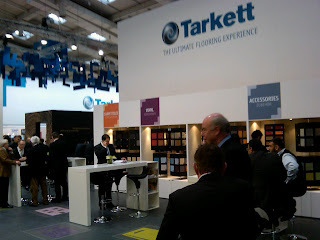 Below are some additional highlights that happened at DOMOTEX 2011. 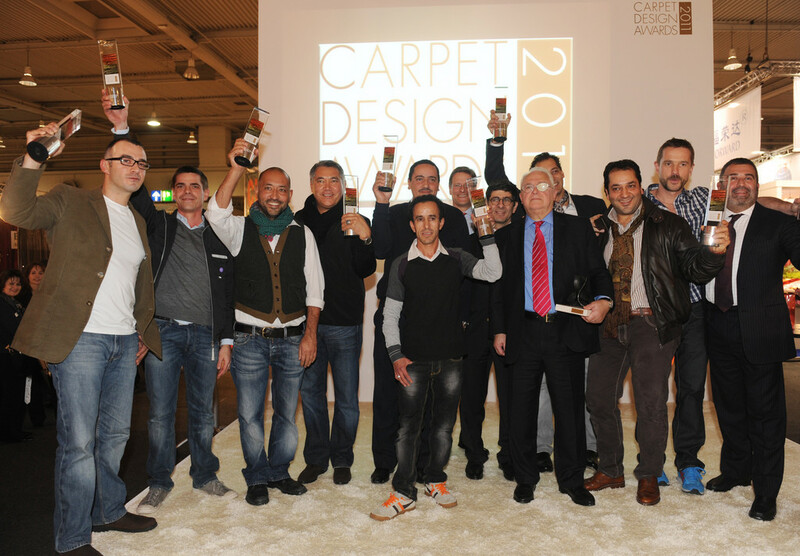 The 6th annual Carpet Design Awards took place at DOMOTEX with the support of co-organizers Hali and Cover. The five panel judges awarded prizes in ten categories within the handmade carpet sector as well as an eleventh prize which would can be categorized as the “People’s Choice” which was selected by the attendees of DOMOTEX. The winners of all categories can are posted on the DOMOTEX website. Congratulations to all the 2011 DOMOTEX Carpet Design Award winners! As stated in a previous post regarding Contractworld, this area of the show floor is dedicated to the contract industry and specifically targeted to the Architects and Designers of our industry. There were many forums of discussion that took place in Contractworld as well as the presentation of the first three finalists in all four categories of the Contractworld Awards. All the winners are listed on the Contractworld website. As the flooring industry progresses and new concepts and products come to market, DOMOTEX strives to be ahead of the curve and as a result we are thrilled to announce new themes each year that will reflect the comprehensive diversity of the floor covering business. Next year we will kick off the show with the Woodflooring Summit which will be dedicated to the hard wood and laminate sectors. In conjunction with the Association of European Producers of Laminate Flooring (EPLF), the Woodflooring Summit will have a special display area on the show floor spotlighting new and innovated products as well as a discussion forum and exhibit space. 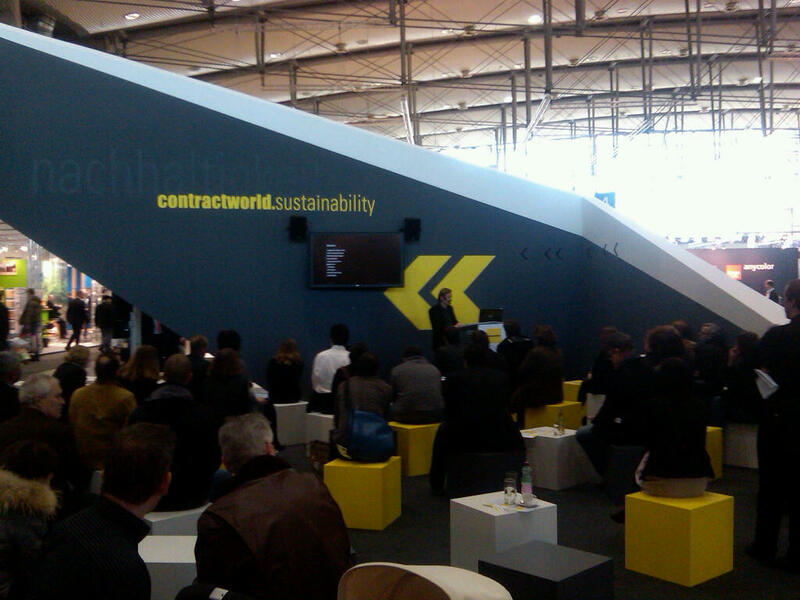 Finally, here are some additional links to coverage of DOMOTEX 2011…. From NWFA's Hardwood Floors Magazine, "New Products, Innovations Presented at Domotex"
From Fibre2Fashion, "Wool Impressions concept at Domotex"
From Floor Covering Weekly, "Domotex 2011 reflects market optimism"
From Carpetus, "Another Domotex passed by... and was great!" BuildDirect's Rob Banks with "Flooring Trends 2011 Post Domotex Pre Surfaces"
See you next year at DOMOTEX – January 14-17, 2012!